Science Fair activities will begin at 1:00 pm. The theme for this year’s science fair is ‘Critical Thinking and Problem Solving'. Lower school students will be paired with middle school students and work together as they visit each of the 4 different areas at the science fair, testing their knowledge, critical thinking skills, and problem solving skills. In the first area, students will need to solve science and technology based problems they encounter in an ‘Escape Room’. Each problem solved gets them one step closer to escaping but the problems get more and more complex as they go. 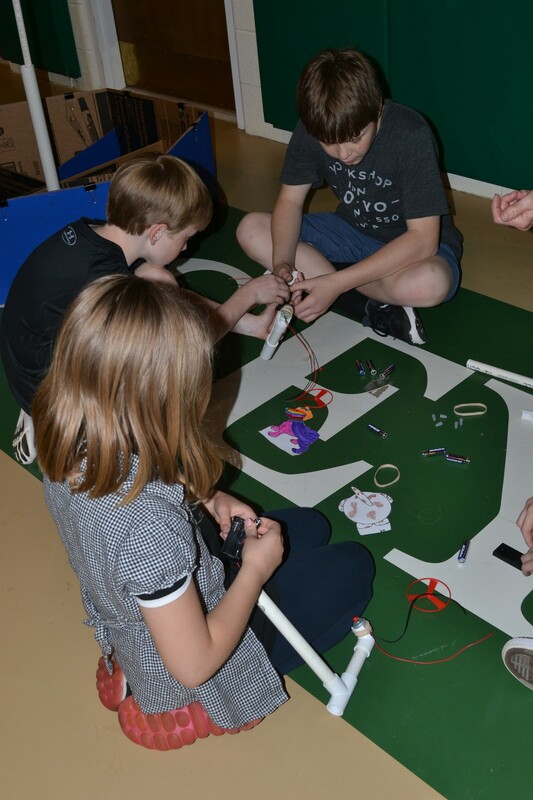 For the next area, lower school students have been working in the classroom to build things that solve the problems they would face if they were to find themselves ‘Shipwrecked’ on an island. They will bring the things they have built to the science fair and put them to the test with the assistance of their middle school partners. In the third area, students will participate in a ‘Crime Scene Investigation’ and work together to examine the evidence and use their knowledge of Forensic Science and deductive reasoning to find the perpetrator of a crime. In the final area, students will participate in a ‘Build Puzzle Workshop’ and work together to build a number of logic puzzles that can be taken home to continue to challenge the kids and further develop critical thinking and problem solving skills.